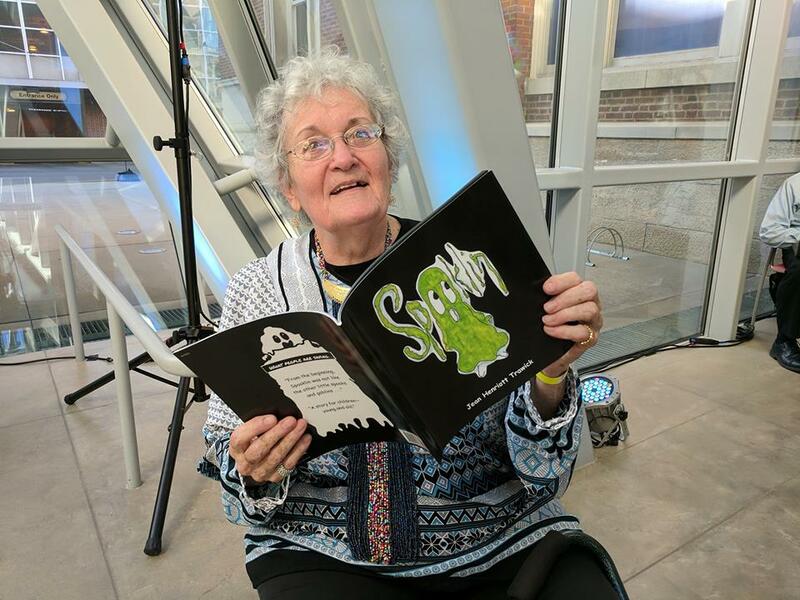 As a college student in 1956, Jean Trawick completed an assignment for her Children’s Literature class at Heidelberg University in Tiffin, Ohio. Now, 61 years later, her then-assignment has officially been published, and The Learned Owl Book Shop is hosting a signing to kick it off. 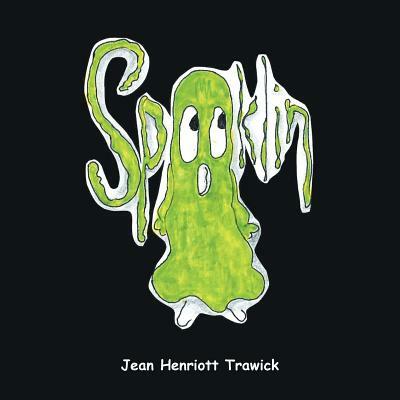 Initially written for children between the ages of four and eight, Trawick still hopes to entertain readers of all ages with her story of Spooklin the ghost. Born in the Kingdom of Boo, Spooklin, who is unlike his peers, decides to go on a journey of his own. As a writer and mixed media artist, Trawick depicts his voyage through storytelling, which is accompanied by her original illustrations of watercolor and collage in her book, Spooklin. Although she’s not an Akron native, Trawick relocated here in 2012, where she intends to stay and has “greatly enjoyed all that it [Akron] has to offer.” She was born in New Philadelphia, Ohio, just an hour away and has moved 36 times throughout her life. Some of her previous places of living include St. Louis, Cleveland, Atlanta and Miami, with occasional travel to England, Mexico, Scotland and Spain. It’s nice to know that she’s decided to root herself right here in the Rubber City. After raising two children, working in education, real estate and corporate, Trawick has fulfilled her dream of becoming an author and expressing herself through art. While it is never too late to achieve goals in life, you don’t want to be late for Trawick’s book signing this Saturday, October 28th from 1 pm-3 pm at The Learned Owl Book Shop. There, she’ll be selling Spooklin for $13.95 and signing them for her supporters. Her book is also available on Amazon for the same price, along with a Kindle edition for $3.99. Trawick will also be signing books on Saturday, November 25 at the 9th Annual Holiday Show by Crafty Mart in Downtown Akron. Treat yourself and the kids by giving them an early Halloween filled with page-turning action and illustrations of Spooklin’s journey. For more information, please visit learnedowl.com/.